In this and the following chapters, we will build a sample Akka application to introduce you to the language of actors and how solutions can be formulated with them. It is a common hurdle for beginners to translate their project into actors even though they don’t understand what they do on the high-level. 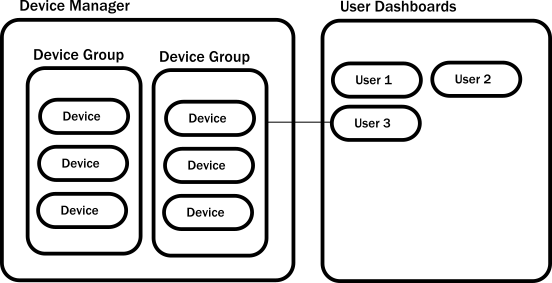 We will build the core logic of a small application and this will serve as a guide for common patterns that will help to kickstart Akka projects. When writing prose, the hardest part is usually to write the first couple of sentences. There is a similar feeling when trying to build an Akka system: What should be the first actor? Where should it live? What should it do? Fortunately, unlike with prose, there are established best practices that can guide us through these initial steps. /user the guardian. This is the parent actor for all user created actors. The name user should not confuse you, it has nothing to do with the logged in user, nor user handling in general. This name really means userspace as this is the place where actors that do not access Akka internals live, i.e. all the actors created by users of the Akka library. Every actor you will create will have the constant path /user/ prepended to it. The names of these built-in actors contain guardian because these are supervising every actor living as a child of them, i.e. under their path. We will explain supervision in more detail, all you need to know now is that every unhandled failure from actors bubbles up to their parent that, in turn, can decide how to handle this failure. 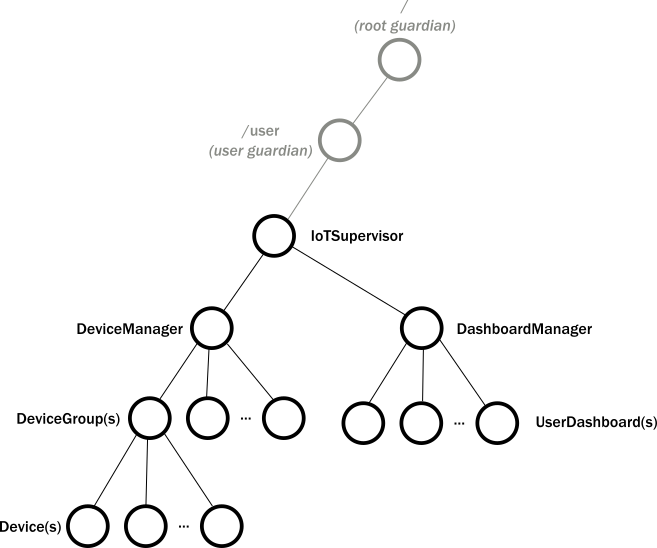 These predefined actors are guardians in the sense that they are the final lines of defense, where all unhandled failures from user, or system, actors end up. Does the root guardian (the root path /) have a parent? As it turns out, it has. This special entity is called the “Bubble-Walker”. This special entity is invisible for the user and only has uses internally. The easiest way to see this in action is to simply print ActorRef instances. In this small experiment, we print the reference of the first actor we create and then we create a child of this actor, and print its reference. We have already created actors with system.actorOf(), which creates an actor under /user directly. 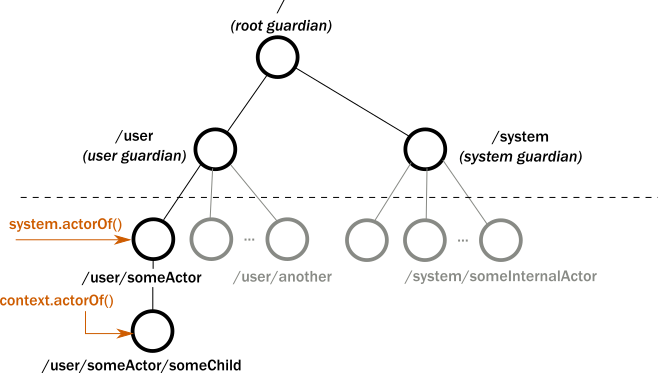 We call this kind of actors top level, even though in practice they are not on the top of the hierarchy, only on the top of the user defined hierarchy. Since in practice we usually concern ourselves about actors under /user this is still a convenient terminology, and we will stick to it. // want to handle any messages in the actor. case "failChild" => child ! "fail"
[ERROR] [03/29/2017 10:47:14.150] [testSystem-akka.actor.default-dispatcher-2] [akka://testSystem/user/supervising-actor/supervised-actor] I failed! In simple terms, every component manages the lifecycle of the subcomponents. No subcomponent can outlive the parent component. This is exactly how the actor hierarchy works. Furthermore, it is desirable that a component handles the failure of its subcomponents. Together, these two desirable properties lead to the conclusion that the “contained-in” relationship of components should be mapped to the “children-of” relationship of actors.